After a pair of weekday matinees, the Texas Legends (22-15) saw their schedule return to normalcy on Friday night in Santa Cruz, California. Squaring off against the Golden State affiliate of the same name, the Legends defeated the Warriors (18-17) 105-99. In a game tied 12 times and featuring 25 lead changes, the visiting Legends outscored Santa Cruz by eight in the first quarter and nine in the deciding fourth to secure the victory. 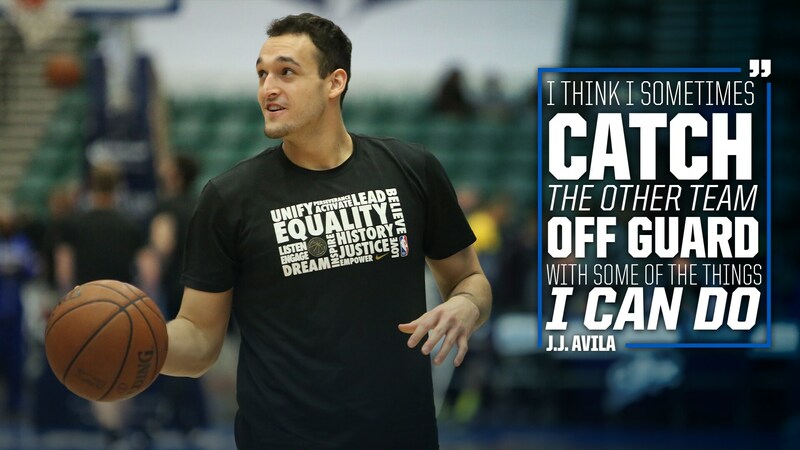 J.J. Avila exploded for 12 first quarter points off the bench and finished the game with 15, seven rebounds and three steals. After posting a 13 point, 10 rebound double-double on Wednesday, Avila now has two straight double-digit scoring efforts with 17 rebounds, seven assists and seven steals in the last two games. Donald Sloan and Jameel Warney both continue to flirt with NBA call-ups, the two scoring 34 and 27 points respectively on Friday. Warney also grabbed 12 rebounds and on a night where Texas was without two-way players Johnathan Motley and Jalen Jones, new full-time Maverick Kyle Collinsworth and the injured Justin Dentmon, Warney and Sloan both gave Coach MacKinnon 41 big minutes and three steals apiece. Also racking up minutes, Avila played a season-high 33 of them and rewarded the team with a big performance, including a game-best +15 plus-minus. The security of minutes –he’s played 28 and 33 in the last two games–is bringing out the best in the second-year player. On top of impressive stat totals, Avila is shooting the ball extremely well during his time in an expanded role. He’s made 12-of-21 shots (57 percent) in his last three contests. Brandon Ashley added 10 points, eight rebounds and a pair of blocks. Xavier Johnson picked up a spot start and also had two blocks with 10 rebounds. After returning to the win column and playing three games in four days, the Legends will have the rest of the weekend off before resuming play on Monday night against the Pacific Division leading South Bay Lakers (22-13). Tipoff arrives at 9 p.m. CT. This is the final meeting of the regular season between the Legends and Lakers, who have split the first two meetings so far. Texas currently trails Austin (23-13) in the Southwest Division by 1.5 games.